A sleeker version of the original, the Refined Short Wellington boot is tailored for a slimmer fit and constructed from fewer layers of natural rubber for a more lightweight feel. 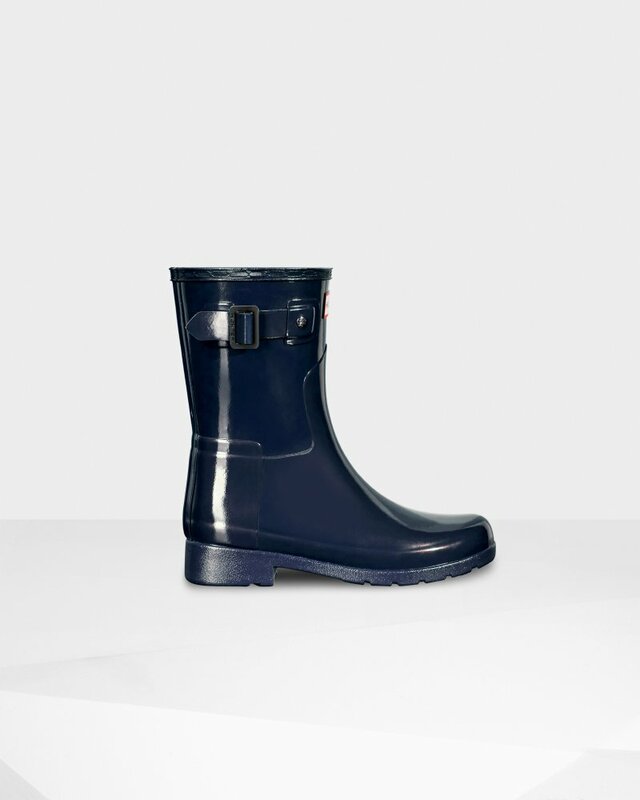 Handcrafted and fully waterproof, this boot has a moulded foot bed for comfort. Rated 4 out of 5 by Ditty from Really great wrapping I bought this for my mum for Christmas because she loves hunter wellies. However the boots weren't very clean when I received them as they were dusty and abit dirty. After a good clean they were perfect and good quality and my mum loved them! Rated 5 out of 5 by Anonymous from Love my Hunter Chelsea Boots. Look good and feel really comfy on. Rated 2 out of 5 by Anonymous from Boots are as expected but the experience of purchasing them was so bad. Rated 5 out of 5 by Danielle from Love these Chelsea boots, I feel like they can be worn with a lot more things more often. Same great quality as previous Hunter purchases.